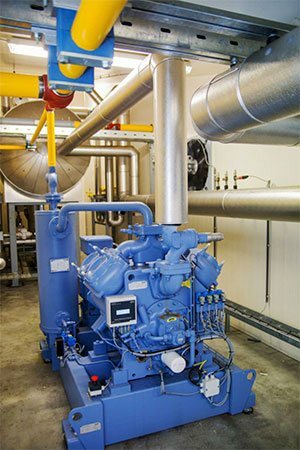 We devise, measure up, and build customised industrial cooling solutions and take care of maintenance, thus keeping the installation in excellent shape. For over 30 years we have been designing conditioned refrigerators for the storage of fruit (apples, pears, mangoes …). Constructing freezing tunnels and deep freezers is right up our alley too. Last but not least: for the storage of cherries we build hydro coolers that vaporise ice water over the cherries, reducing their temperature to 4°C in less than ten minutes. A stunning piece of engineering – unique to us in Belgium and beyond! The applications of process cooling are highly divergent: from systems for cooling down lamps during the production process, to complete installations for breweries and data centers. As the possibilities are so numerous, we always deliver customised solutions. After all, this is the only way to get the best results. We build refrigerators for the storage of vegetables for different types of farmers and storage depots of chain stores. Think about potatoes, carrots, seed potatoes, and onions. Over the years, VOS technics has grown into a loyal partner for multiple slaughterhouses and meat processing companies. We design, build and take care of the technical maintenance of, amongst other things, blast freezers, deep freezers, and cutting rooms. Are you looking for an efficient installation to keep your flowers cool or store your trees? 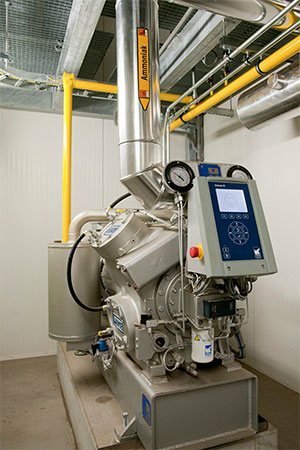 Or are you a wood-processing company looking for a means to dry your wood at controlled temperatures? We will gladly help you out. 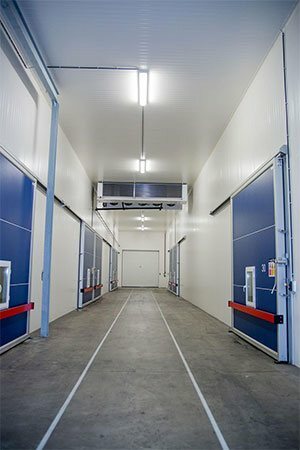 From production areas for cheese processing and conditioned ripening rooms to installations for cooling milk and dairy products: we offer customised solutions. Chillpack is a unique and user-friendly control system for cooling installations that allows you to store and keep track of products such as fruit, vegetables, plants, and trees in a smart and intuitive way. Chillpack controls your processes, collects data, and detects abnormalities. Curious about how you could integrate Chillpack into your installation? Call or mail us for more information and a quote. A partner who is flexible and thinks long term. That is great cooperation! Our office is entirely heated through heat recovery from our refrigeration rooms. We’ve been working with VOS technics for 20 years. It’s a perfectionist company, down to the last detail and correct service. A great company with just the right people! Smarter than its Dutch namesake, the fox, VOS delivers technological masterpieces without ever turning its back when it comes to service. A fox you can count on at all times.For a company like Karditsel, which is entirely dependent on climatology, it is a blissful and very reassuring feeling.